When someone reveals their Zodiac Sign to be that of Virgo (The Virgin) smirks inevitably start to appear and wisecracks come tumbling out. It isn’t until folks understand the true meaning of the Virgo sign that inspired awe and just a twinge of fear set in. The original meanings of ‘Virgin’ included ‘a woman whole unto herself’ and ‘beholden to no man’. Though the definitions pertain to women, the sign of Virgo is gender neutral. In this, whether female or male, Virgos are incredibly strong, fiercely independent purists who strive to ascend to the realms of perfection inhabited by the Gods. While you might hear the word “Virgo” and immediately think of a prudish maiden complete with a chastity belt, that’s not really the case with this Astrological sign. Yes, the Virgo personality is very selective and eerily perceptive when it comes to other’s intentions. They also have a bit of wall flower rooting in their spirit. Nonetheless, Virgo can make wonderful connections in small groups where you don’t have to bear your soul to the world. The hardest part for most Virgos is that you hate messes. Organization is your middle name. Sadly the world is not (for the most part) tidy. This can drive you nuts, and make you seem like a stickler with people more laid back Worse (or better, depending on your perspective) you can get things done quickly thanks to Mercury as a key planet in your Astrological cleaning bucket. So if something isn’t completed to your liking with a snap of your fingers and a flit of your broom everything seems to gleam with nearly an audible “ding”! That means people around you become afraid of not living up to your expectations, give up trying and you’re left with all the dishes, yet again. As an Earth sign a pragmatic intelligent fits into your wheel house as neatly as sliced bread in a bag. Yours is not a life filled with flights of fancy. In fact, you’re very content with both feet on terra firma. This leads to a type of concrete thinking that won’t simply accept a story about a planet with a purple sky – you want the entire explanation behind it, complete with footnotes. This isn’t a bad thing (although it ruins plots sometimes). People trust in your sense of realism and how you use that in making wise, discriminating suggestions. As an overview, Virgos look very sophisticated, physically and in terms of style. They aren’t showy, but there is definitely a sense of good taste that lingers around them. Many have slender builds with slightly higher than average heights. The Virgo desire for self-improvement helps keep them healthy. You may, however, find a tendency toward nervous eating when you’re out of your element. This sign’s weakness is the intestines. So think about them before that next burrito. Also remember that even if you don’t FEEL hungry your body needs fuel to complete all those tasks you’ve set for yourself. Babylonian texts tell us that the constellation of Virgo represents the sacred ear of corn from the Goddess Shala and thus they call Virgo the Furrow. Babylonians also considered it a symbol of fertility. It’s interesting that some of this symbolism continues in Greek and Roman tradition where Virgo is a grain or agriculture goddess, akin to Demeter or Ceres. Another story tells us that Virgo was placed in the sky by Dionysus. She was known as Erigone on earth, and a group of rowdy shepherds killed her father, and she committed suicide in her sorrow. Come the middle ages the Church sometimes tied the constellation of Virgo with the Virgin Mary. As you might expect, Virgos trust their heads more than their hearts in relationships. Even so, once invested in a relationship this Star Sign finds the whole adventure a wonder. A Virgo partner will want to know every aspect that satisfies and pleases you, and the exploration process is delicious. With this in mind the best Zodiac compatibility for Virgo includes Pisces since you both neatly balance each other. Taurus provides the heart element you sometimes miss, and Capricorn will love, love, LOVE your fussing. Want to know more? Read the full Virgo compatibility profile. If you prayed for a helpful child, you certainly got one. There is nothing the Virgo Child won’t try even if it looks HUGE compared to their size. They’ll even clean up their brother or sister’s room after a fight! There is no malice in this Star Sign – it is simply a task that needs doing. They’re also quite the communicators thanks to Mercury’s influence. Anticipate a lot of curiosity in your Virgo, and a passion for learning (they love languages, puzzles and books more than candy). Additionally your child has this matter of fact approach to things that rivals many adults. You’re not going to find them doing anything – be it hop scotch or horseshoes- unless they see something viable coming from the activity. This Star Sign is the Universe’s perfection seekers and your job as a parent is helping them balance that ideal with reality. Want to know more? Read the full Virgo Child astrological profile. 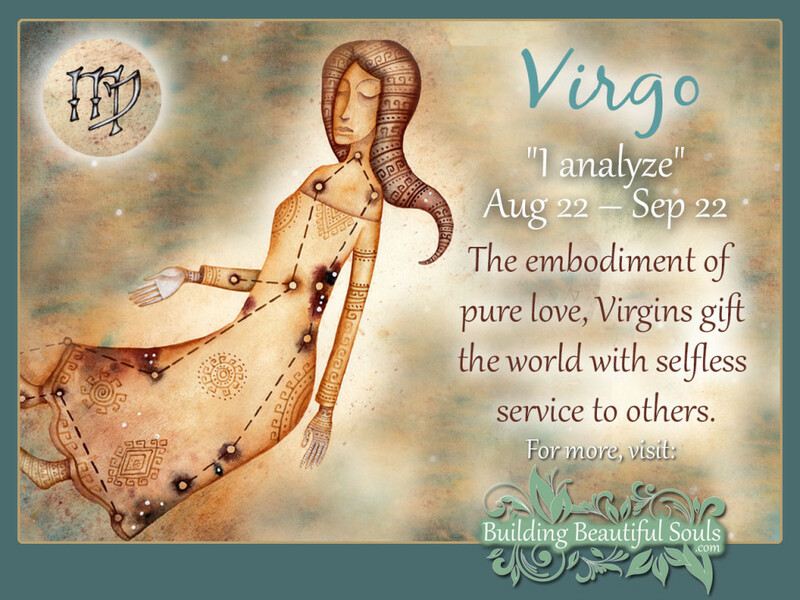 A Virgo Girl is as the name of her Zodiac Sign suggests – pure. You can rely on anything she promises. You’ll find her charming and funny, but also restless when things seem out of place. When arguments happen, the Virgo Girl will be the first trying to fix it, even among adults. While shy socially, she is a hard worker with the determination of 100 type-A personalities bundled into one little smile. Pay attention to your daughter when she is explaining something – she has a knack for details. Yes, sometimes it seems overzealous, but 99% of the time even you will have to admit she’s right! Want to know more? Read the full Virgo Girl personality profile. You have a Virgo Boy. Be ready for a picky eater and a child who has distinct ideas about his personal space. Stop worrying over cleaning his room, folks – he’ll do it probably in alphabetical order. That’s the key with Virgo: wherever they see disarray they want to put things right. Your son is intelligent but takes his time in making choices – don’t push it! This is also a very valuable asset of the Virgo personality. They can solve problems if you give them the time they need. You will also find your son very fair toward everyone, particularly those who he sees as an underdog. There’s a quiet hope in every Virgo to save the world. Want to know more? Read the full Virgo Boy personality profile. You want the best Administrative Assistant in the WORLD? That would be a Virgo. Excellent Virgo career ideas include contract reviews, proofreading, scientific or medical notation, research, and facts and figures. No matter where a Virgo lands, employers love their work ethic. Goodness, avoid any pet that makes a mess! If you’re looking at cats or dogs, look to breeds that don’t shed. Having said that, cats have a very practical element in that they need little care and are as fastidious as Virgo. Virgos love keeping busy (sitting is torture). They appreciate hobbies which rely on hand work – like knitting or looms, cooking and gardening. Since this sign rarely if ever unwinds, look to activities that engage the mind. When you think of Virgo remember that they are detail oriented and expect that you’ve paid attention. Any gifts that improve personal appearances, health, or anything that re-connects them to the Earth Element in their chart is a good choice. Look to this person’s favorite colors, sounds, other sensual cues to help. If you find yourself at a loss, SAY SO. Virgo gets the pragmatic approach and will appreciate you knowing that you just don’t know.